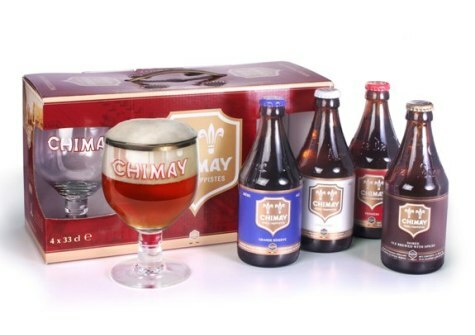 If I were to ask you to name a Belgian Trappist beer, I bet you’d say Chimay. But I also bet you don’t know all that much about Chimay. I certainly didn’t until I met the utterly charming Luc “Bobo” Van Mechelin, US brand ambassador. 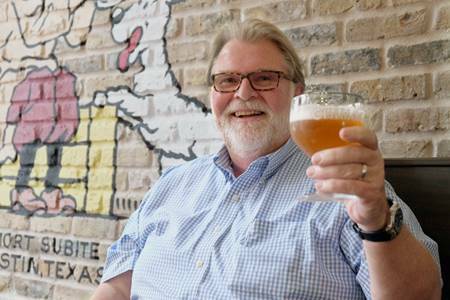 We sat down over a beer or two so I could learn more about all things Trappist and Chimay. Trappists originally came from La Trappe in Normandy, but were expelled from France by Napoleon and settled in Belgium. Today there are 170 Trappist monasteries around the world, and 10 of them are in the US. In Belgium Trappists first made cheese, but then began making beer (they still do make cheese). In 1992 six Belgian and one Dutch Trappist monastery came together to protect the designation, “Trappist beer.” They agreed that to be a Trappist beer it must be brewed inside the walls of the monastery, there can be no commercial investment and 90% of the net profits must be given away to charitable causes. Chimay has given proceeds to support orphanages, schools and clean water. The Trappists of Chimay are particularly intellectual and have an impressive theological library. The Chimay Trappist monks arise between 3:30 and 4 in the morning and pray seven times a day. They are vegetarian and maintain silence in the monastery. Their beer takes 3-5 days to ferment and the yeast used to make it was lost during World War II (it took 3 years to recreate it). Unlike other beers, no imagery of monks is used on their labels out of respect for the monastery. Chimay Gold — a pale ale, it has the aroma of hops and spice. It’s made from water, malted barley, sugar, hops, yeast, bitter orange peel and coriander. It’s 4.8% alcohol. Chimay Premiere — the oldest brew, a double, it has more malt and has a slightly sweet flavor of fruit and spice. It’s red colored and is 7% alcohol. Chimay Cinq Cents — is a balance of dry, floral and bitter and is a golden blonde color. It’s a tripel, made with triple malt and a higher alcohol level, 8%. Chimay Grand Reserve — was originally brewed as a Christmas beer. It’s dark strong ale and has earthy, spice and caramel notes. It has the highest in alcohol at 9%. Disclaimer: My thanks to Chimay for inviting me to learn more about their beers and try some samples. I was not compensated monetarily for this or any other post.